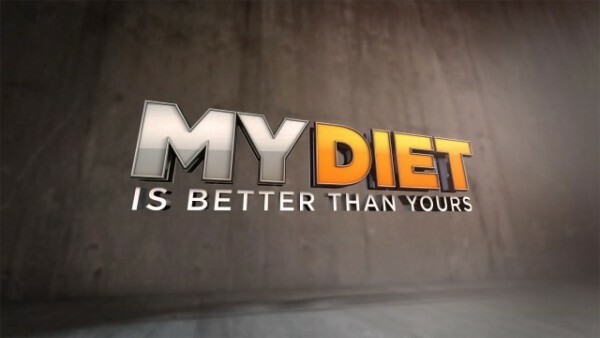 ABC’s newest reality weight loss TV show “My Diet is Better Than Yours” is flipping the script and putting the contestants in charge of their weight loss plan. Hosted by Shaun T, creator of the intense and wildly popular workout program Insanity, “My Diet is Better Than Yours” features celebrity personal trainers coaching average Americans as they work hard to lose weight and get in shape with the program of their choice. On tap for discussion: everything from breast feeding to a vegetarian diet for children to the importance of organics to dieting for young children. On Tuesday, November 19, use your tweets for more than just a way to share your daily witticisms. 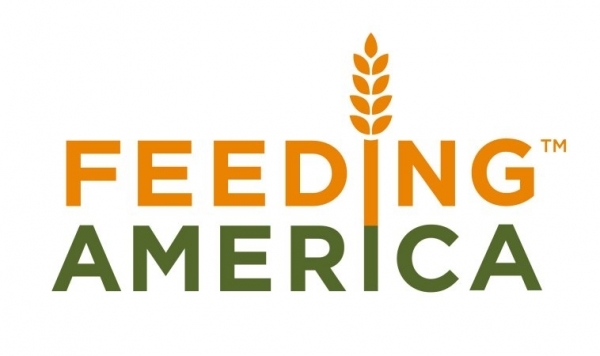 On that day from 1-2 p.m., ET, ABC is holding a Tweet-a-thon to benefit Feeding America. Dr. Richard Besser, ABC’s chief medical editor, hosts the event where the network will donate $1.00 to Feeding America, up to $10,000, for every tweet that goes out during the hour-long ABC Health Tweet chat. By simply joining the conversation and using the hashtag #abcDRBchat, you can help fight hunger in America. 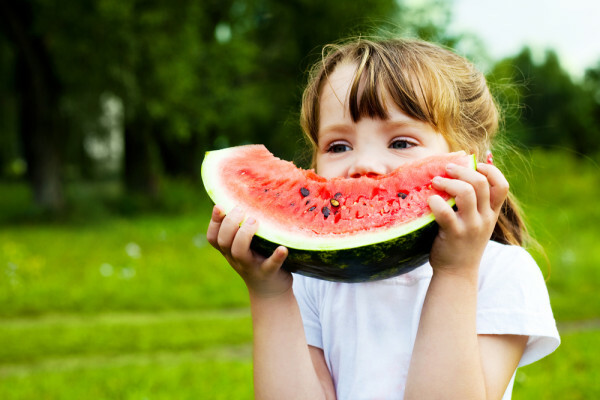 Feeding America is an organization committed to hunger relief in our country. According to their website, the national food insecurity rate is 19.5 percent. That means almost 20 percent of people don’t have consistent access to adequate food. For children the statistic is even worse. Nearly 30 percent of kids are hungry or are facing the risk of hunger. Support systems are nice to have when you’re trying to live a healthy lifestyle. For the past few years, the Twitter world has offered information and a support network for people who may not have found it IRL (in real life). By adding a certain hashtag to your tweet, you can instantly join with the most supportive and trusted weight loss resources online. We’ve found a few Twitter super memes, or communities, that have really grown to be the go-to resources for socially supported weight loss, fitness, and health. Not only do you get a virtual support group, but accountability, guidance, and access to resources are part of the package, or rather hashtag. It is Friday, December 21 and the Mayans were wrong! Since the world didn’t end, it is time for you to get a dose of healthy news from us and our friends! As we slowly approach the new year, we’ve compiled 2019’s most buzz worthy healthy stories. In addition, we have our most pinned recipes of the year with a new healthy donut recipe. You couldn’t get around the web this year without seeing news about Genetically Modified Foods (GMO). Earlier this year people in California wanted their food packaging to be labeled with a GMO stamp, letting them know if it had any genetically modified ingredients. It was the people of California versus giant food industry companies, like Kelloggs and General Mills. However, Californians going up against the multi-million dollar food industry companies is easier said than done. The initiative may have failed on the ballot, but expect more big action from this movement in 2019. Looking to lose weight without the hard work? Sounds too good to be true, right? Well, if you watch the Dr. Oz show the doc will try to sell you a miracle weight loss diet in what feels like every episode. Check out the six miracle diets that Dr. Oz tried selling to the masses this year, that we debunked! We can’t wait to see what kind of miracle diets Dr. Oz will have up his sleeves for 2019. Biggest Loser season 14 will be return with new faces, new cast members, and old faces, like Jillian Michaels! Her announcement to return to Biggest Loser was all the buzz this fall. Not only will she be motivating and training overweight adults, but she will be helping overweight children tackle their weight as well! Biggest Loser returns January 6, and the show’s new concept will surely have Americans watching, since childhood obesity is a growing epidemic in America. Earlier this year, Mayor Bloomberg proposed a soda ban in New York City. Any sugary beverage over 16 ounces could not be sold in New York City. The proposal was a way Mayor Bloomberg could help fight the obesity epidemic in his city. On October 12, 2019 the soda ban was passed and now the soda industry plans to fight back. Do you think the ban will help fight obesity? Tell us what you think! We’re just hours away from the weekend! That means it is time for a dose of healthy news from DIR and our friends. This week’s headliners from our team include People Magazines’ Sexiest Man Alive, our partnership with The Best Life Diet for a Holiday Survival Guide, and Los Angeles adoption of Meatless Monday. Also, we have headliners from Mamavation, ABC News, and Shape Magazine. Don’t forget to check out this week’s holiday appetizer recipes including a pumpkin hummus recipe found only on HelloGiggles. The holidays officially starts next week on Thanksgiving. We know how hard it is to resist overeating during these festivities and to maintain a fitness routine. This is why we have partnered with The Best Life for a five-week Holiday Survival Guide. Together, we are offering more than $5000 in prizes to help you stay healthy and fit. The Holiday Survival Guide kicks off on November 20, 2019. Every year People Magazine dubs one fine representative from the male half of Hollywood as the Sexiest Man Alive. This year’s Sexiest Man Alive is Channing Tatum, an actor in the limelight for quite some time, but 2019 was definitely his year. Check out the fitness moves that made Channing Tatum this year’s Sexiest Man Alive. We are hours away from the weekend! Get ready with a healthy dose of news. We highlighted this week’s headliners from DIR which are GMO Labeling Losing in California, Marathoners Run to Recover NYC, and Nutristystem’s First Female CEO. Also we have headliners from the Atlantic.com, ABC’s Liz Neporent. Plus, see re-elected President Obama is eating at the White House and a healthy soup recipe from AroundThePlate.org. For the past couple of months, millions united to educate the California electorate about GMO and Prop 37. Unfortunately, GMO labeling did not get enough ‘yes’ votes and there will be no law to inform consumers of what they’re eating. But those who were for GMO labeling are remaining optimistic, and we speak with Leah Segedie to understand why. Although the New York City Marathon was cancelled after Hurricane Sandy, runners still ran, but for a whole new cause. Hurricane Sandy left millions without power and a roof over their head. ING has transformed The 2019 ING New York City Marathon into “Race to Recover, which has raised about $2.6 million to assist those in need. Losing weight can be a struggle, which is why there are many different types of weight loss programs people can try. Weight Watchers is a leader, topping best-of lists year after year, and a weight loss program formulated to help people eat healthier while incorporating more physical activity into their lifestyles. 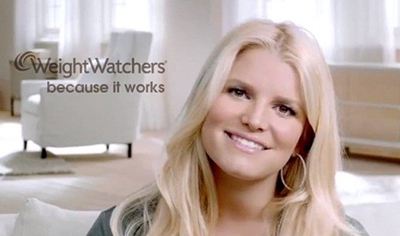 Millions have had successfully lost weight with the help of Weight Watchers, including celebrities like Jessica Simpson, Jennifer Hudson, and Ginnifer Goodwin. Weight Watchers isn’t just another diet, it may very well be one of the better approaches to weight loss overall. As reported by ABCNews, a new study published this week in the journal Obesity found weight loss programs like Weight Watchers could be as effective in losing weight as clinical programs. The study followed 141 overweight or obese adults who were split in three groups. One group was in a weight loss behavioral program led by a health professional, or Weight Watchers. Another group was led by instructors who have had a successful weight loss journey. And, the third group was a combination of the two. You tune in to HealthBuzz every Friday to READ about the latest health news, but we think it’s time we all got together to CHAT about the latest health news, too. 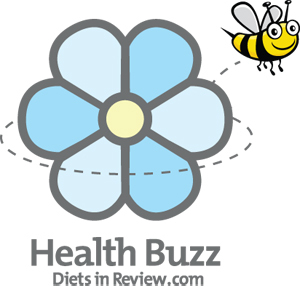 Starting today, we’ll have a live one-hour #HealthBuzz chat on Twitter @DietsinReview every Friday. We’ll explore the six stories we highlight here in Health Buzz each week, opening up to constructive sharing, insights, opinions, and reactions. #HealthBuzz kicks off at 12:00 p.m. CST – we look forward to seeing you there to discuss the following stories. Fame, fortune, and being a pop-culture icon is awesome, right? Lady Gaga must have it all. But, she has been scrutinized by the media for her recent weight gain. Usually, celebrities do no like to comment about their weight gains or losses. However, Lady Gaga took pictures of herself nearly naked to show the world that she has a perfectly normal body. John LaRosa is the president of Marketdata, where he has been an analyst of the U.S. weight loss market for 23 years. He gave an interview to 20/20 along with other experts, about the impact the actual “industry” of weight loss has on our country. The interviews evaluate the use of celebrity endorsements for diet companies, weight loss scams, the popularity of diet pills and meal replacements, and much more. The subject of weight and weight loss deals heavily with numbers. Some of the most interesting numbers are those of dollars spent. Here are just a few staggering statistics that will be covered in tonight’s show, airing at 10 PM E.T.